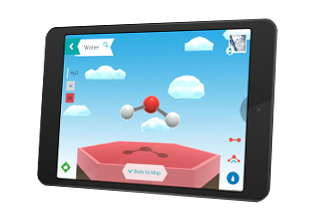 The physical and digital teaching tool that lets you discover the world of molecules in an intuitive, hands-on way. I probably would have learned a lot more in high school... if I had a 3D view of the atomic world. 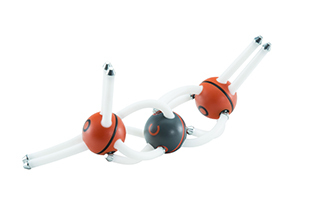 Happy Atoms will be the perfect gift for the budding chemist in your family. I learned more about chemistry in 10 minutes than I ever did in a college level course. What may start as a random combining of various atoms turns into a game of discovery. Happy Atoms... promotes independent play by letting kids figure out new combinations of atoms by themselves. 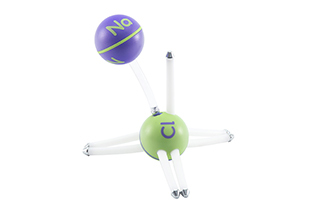 I'd love to see a set of these in every chemistry classroom around the world. 5 Stars! I really enjoy the game. It is a fun and immersive game with hundreds of different combinations. The app is easy to use and the set is high quality. Really great game. 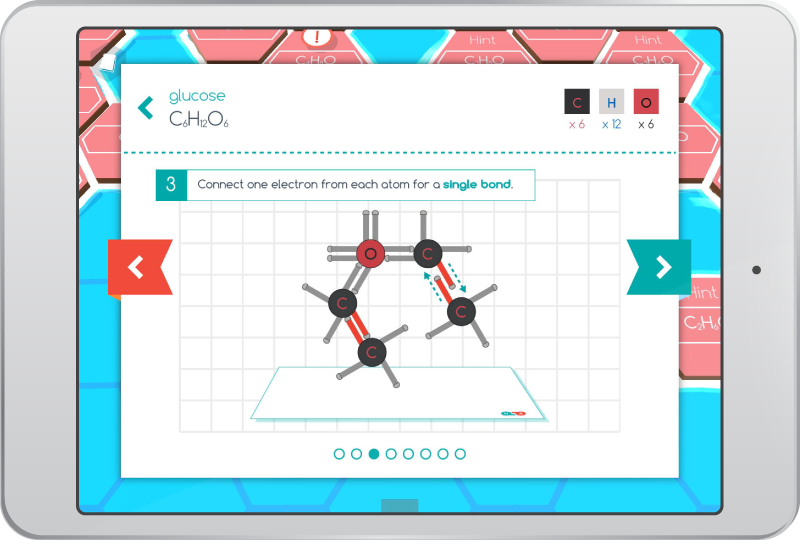 ... a LEGO-like approach toward teaching chemistry, eschewing the boring and confusing traditional algebra-esque approach. I liked most... that it had the valence electrons and the bonding sites already there for the students. 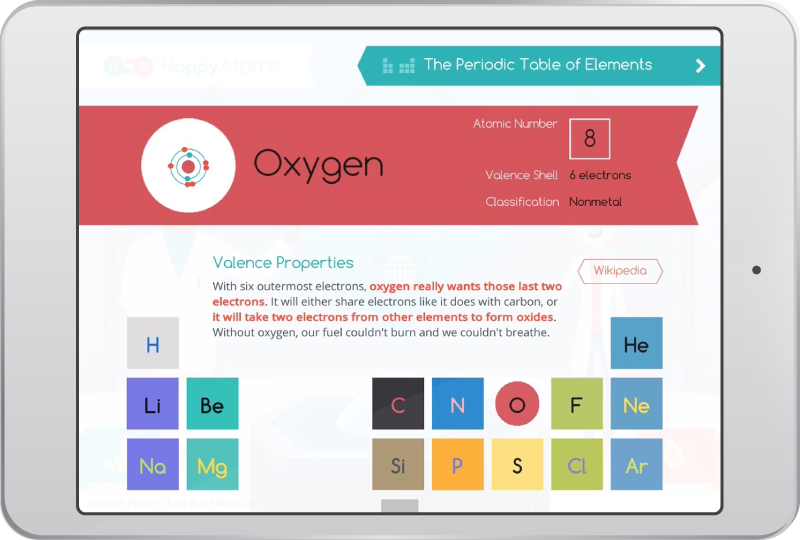 Great tool for any home school, classroom or chemistry fan.This is so easy and quick and the app is a huge bonus. Definitely worth the money. I liked the way that it was set up and easy to figure out. I like the way that it is a free-roaming game, and durable too. There are not enough to have 3-4 people play with one set. I wanted it to myself! Money WELL spent….promise to spread and share with my friends. Thank you for making this the best X’mas present (he had already told me multiple times) ever. 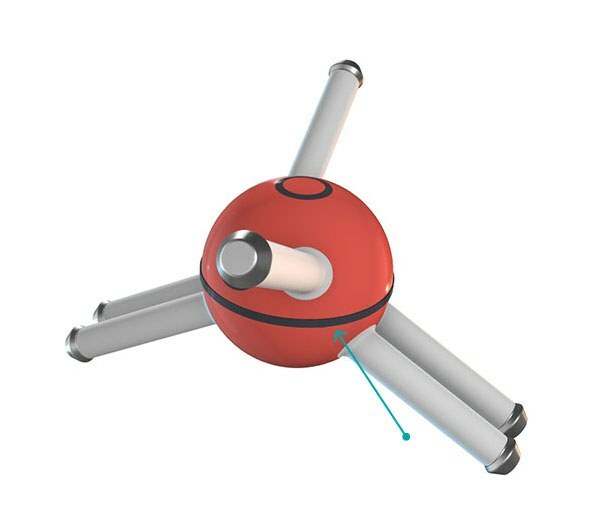 Thank you for a very nice (and new) way to model and make chemistry fun. 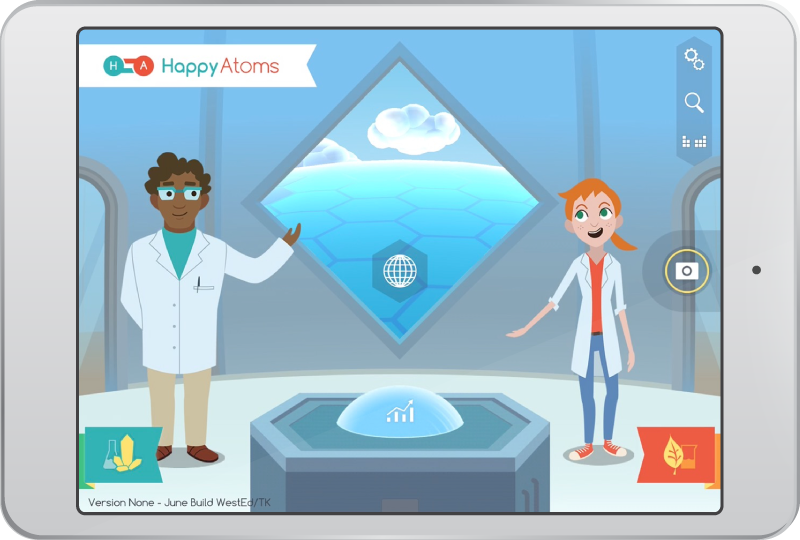 If you're into hands-on science education, you NEED to check out Happy Atoms. Happy Atoms is geared toward students in middle school. 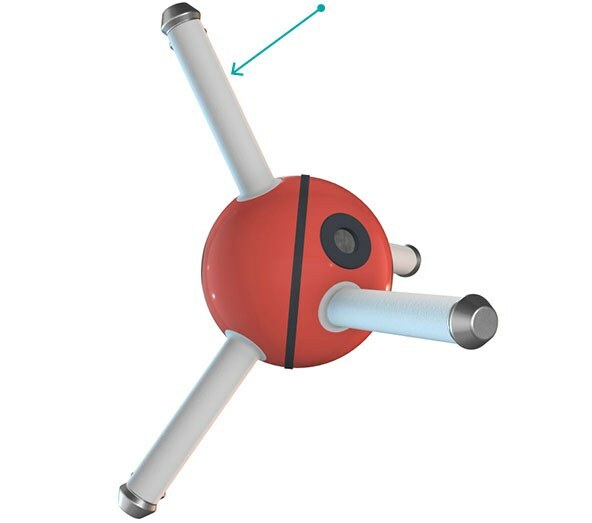 Younger students can use Happy Atoms to jumpstart their chemistry education, and older students can use the system to make chemistry more tangible, visualize complex molecules, and reinforce their chemistry studies. 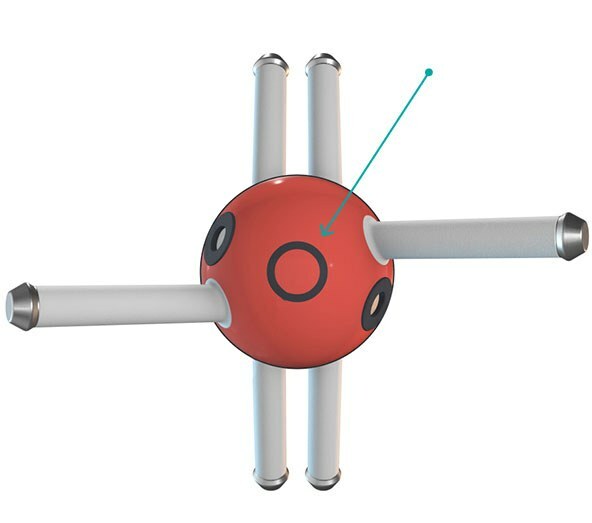 Teachers at any level can use Happy Atoms as a helpful demonstration tool and teaching aid. Of course, adult hobby chemists, chemistry professionals, and any one interested in learning more about chemistry can also have valuable experiences with Happy Atoms. 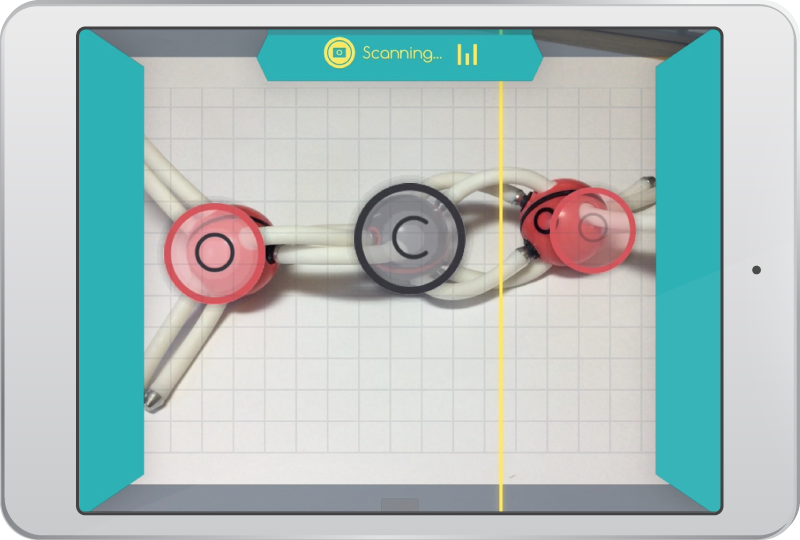 Scan and identify the molecules you build using your device's camera. They are then unlocked on the molecule map. 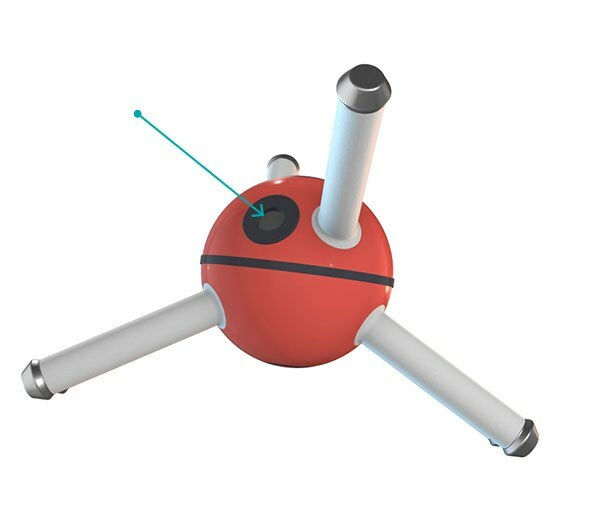 Chart your own personal chemical expedition. The map of the World of Molecules brings each one of your discoveries to life. Take a closer look at the molecules you create. Explore each molecule's composition, systematic name, and how it exists in our world. Form bonds with your fellow colleagues. Rookie chemists Harper and Andee join you on your journey, offering help along the way. 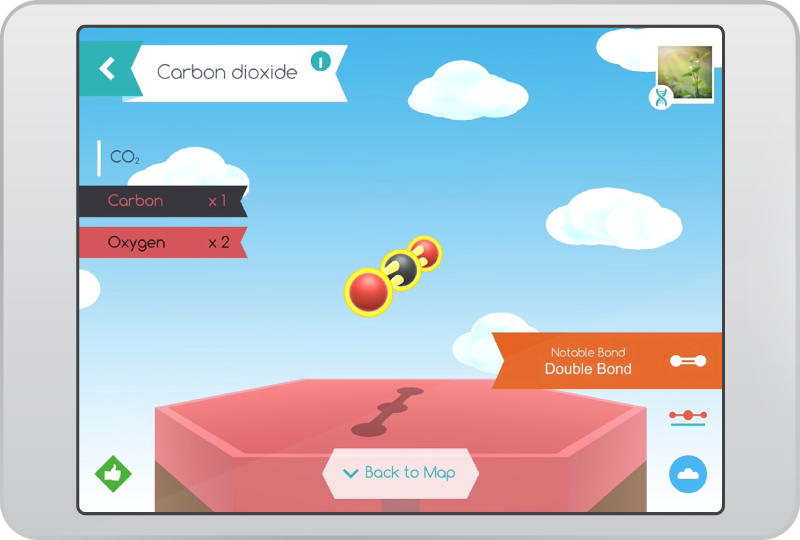 Find the right molecule for the job as you work together with Harper and Andee to conduct over 50 different educational research experiments. 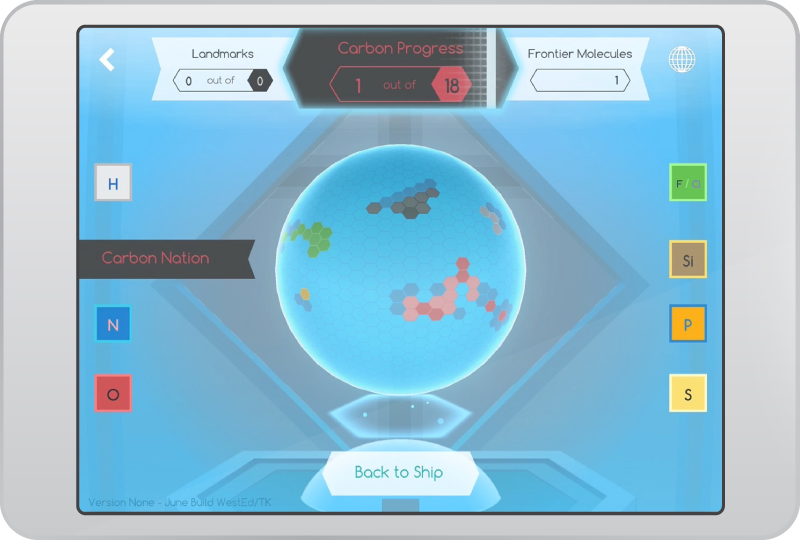 When you need help assembling a specific molecule, step-by-step assembly instructions can be accessed through the molecule map. 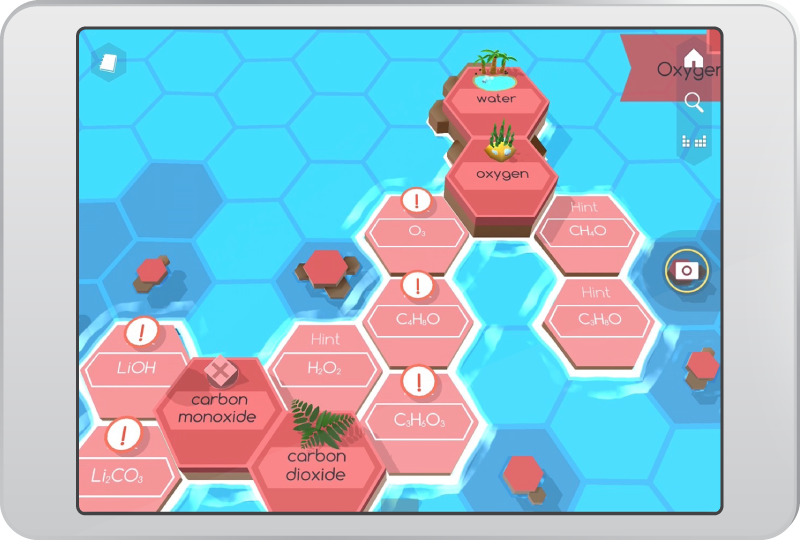 Cruise the molecular landscape in style aboard "The Nucleus," your own research vessel, to see your progress. 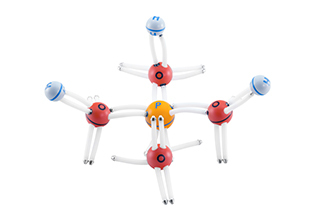 Learn more about the atoms that make up the Happy Atoms modeling set by checking them out on our slice of the periodic table. 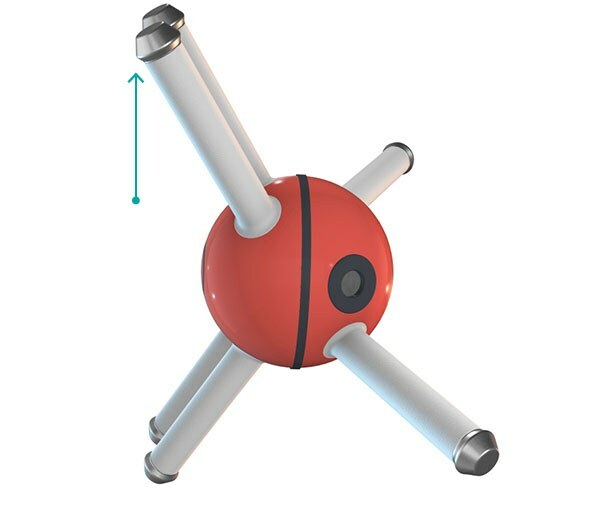 Happy Atoms sets include a poster that is white on one side to provide an optimal scanning surface for the molecules. The periodic table is printed on the other side. The sets also come with a quick start manual. The Complete sets include a drawstring storage bag. These are the building blocks of the universe. Let’s build it! Knowledge of chemistry is necessary to solve many real-world problems, but the way chemistry is taught now often fails to capture students’ imaginations, discouraging experimentation and discovery. 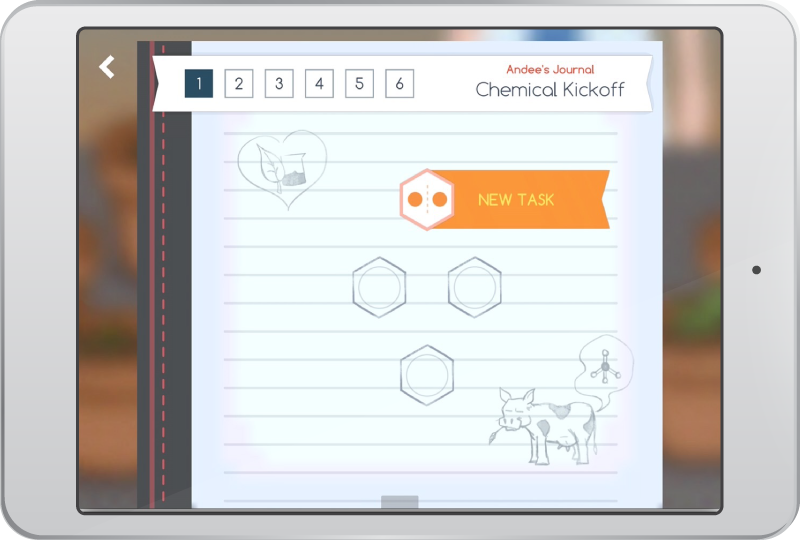 Happy Atoms aims to change that by offering a chemistry learning experience that sets itself apart. Together we can help everyone discover the real-life wonders of chemistry!